Have you ever noticed that there's no such thing as leftover bacon? Like pizza, potato chips, and grilled cheese sandwiches, even the worst bacon is still pretty freaking delicious. There's the intoxicating smell; that smoky, fatty, salty, porky-sweet flavor; the contrast of pliable, tender meat and shatteringly crisp edges. But while I have yet to meet a bacon I'd turn down, I'm also pretty particular when it comes to selecting what brand to keep in my fridge. And I'm guessing you'd be too, if it wasn't so intimidating to pick one out from the myriad options on your supermarket shelves. There's a lot to consider—the cut and thickness of the pork, the curing process (or lack thereof), the type of smoke that's used, and the effect of added flavoring agents. We tasted our way through nationally available supermarket brands to find our favorites, from thick-cut and sweet to paper-thin with a salty punch. But before we go into specifics, let's talk bacon basics. Bacon means a substantially different thing in the US than it does in the rest of the English-speaking world, where American-style bacon is typically referred to as "streaky" or "fatty" bacon. That's because our cured-and-smoked strips of bacon are made from fatty pork belly, where Canadian, Australian, and British styles of bacon are made with lean pork loin (with or without the fatback attached) and often completely unsmoked. Today we're sticking to streaky American bacon. The first step in making bacon is curing it—that is, treating it with salt along with flavorings like black pepper or maple. Sugar is almost always added during this phase as well. In the days before refrigeration, curing was an essential step to extend the pork's shelf-life for as long as possible by creating an environment unfriendly to bacterial growth. More often than not, other preserving agents (such as sodium nitrite or potassium nitrate) are also mixed with salt during the curing phase in order to further prevent the growth of bacteria like clostridium botulinum. These nitrates also have the side effect of fixing bacon's bright pink color and providing some of that characteristic cured flavor. Bacon made without nitrates will have a more distinctly "porky" flavor as opposed to "bacony." You can cure bacon by pressing the dry cure into the meat, brining the belly, or injecting a brine directly into the meat. This last method, a process called "pumping," is the quick and dirty way of making bacon, and it's how most inexpensive supermarket bacons are made. A process that normally takes days and weeks is cut down to just hours. Pumped bacon has extra moisture, which means it's most likely to shrink and spit as it cooks. That doesn't necessarily mean it's bad bacon; in our blind tasting, some of our favorite bacons were pumped! There is, however, an easy way to identify pumped bacon if you prefer to avoid it: They all contain ascorbate or sodium erythorbate in the ingredients list, chemicals the USDA mandates for safety reasons. Finally, the curing stage is followed by smoking, which further dehydrates the meat, enhances its antibacterial properties, and produces its signature campfire aroma. Cured meats have developed something of a bad name, thanks to studies that have found correlations between nitrites and cancer in test animals. While there's plenty of debate surrounding the validity of those findings, there's a growing market of "uncured" bacon available to those looking to eliminate nitrites and nitrates from their diet. 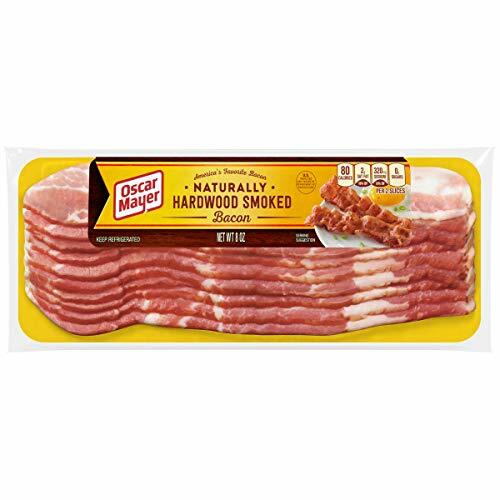 It's worth noting that virtually every uncured supermarket brand of bacon that we found nonetheless contains naturally occurring nitrites in the form of celery powder, sea salt, and other organic compounds (and, if you check out the packages, are labeled as such). You can find out more about curing regulations from the USDA, which clearly lays out the pros and cons of different methods of preservation and summarizes the most current research findings. We gathered the most popular brands of widely available bacon from across the country, and then cooked each brand in the oven until it was crisp. Our tasters sampled bacons in different orders to mitigate the effects of palate fatigue. Finding the one bacon to rule them all is tricky. Some folks like their bacon thick, others thin. Some like it on the sweeter side, while others get turned off by too much smoke. Some prefer crisp fat, others chewy-lean. (Since any brand of bacon can be undercooked or burnt to a crisp, we won't be going there). To find the best bacon for each palate, I had every taster describe their ideal bacon in writing before they tasted any bacon to get a sense of their frames of reference. Rather than pick an overall winner, we found it made more sense to offer a few favorites based on our different ideal bacons. We were surprised to find just how different each brand was—bacon isn't just bacon—and some very clear favorites emerged in each category. Everyone loved Oscar Mayer for its fresh, balanced flavor. "This tastes like it's really from a pig," exclaimed one taster. It's salty and sweet with a "nice porkiness," though several people noted that they would've liked a little more smoke. While the strips did shrink a fair amount (Oscar Mayer is an injected bacon), almost everyone appreciated the medium thickness and the balance of fat to meat. This bacon is consistent and satisfying with no real surprises and the right amount of saltiness to keep us coming back for more. Though some thought it was maple-flavored, Trader Joe's bacon owes its sweetness to fruity-but-mild applewood smoke and turbinado sugar. Deeply smoky and sweet, it has a "rich, developed" flavor that most found "just right." Those who thought classic-cut bacon was too thin were especially pleased by the thicker, chewy slices. Ingredients: water, sodium lactate, salt, turbinado sugar, spice extractives, celery powder. Sweet and porky, Wellshire is a good alternative for people who prefer their bacon on the thin side, with a less smoke-forward flavor. Like Trader Joe's, D'Artagnan uses applewood smoke. The slices are a bit thinner, but "nicely pliant" with a fruity, satisfying flavor. These held up especially well sitting out over time (and significantly better than many of the thinner-sliced brands), and we'd be happy to serve them anywhere. Mild and fatty, D'Artagnan is ideal for those who like a more tender, chewy cut that isn't too smoky or salty. Wright comes a bit thinner-cut than D'Artagnan, but it's still easy to cook nice and chewy. Tasters found Wright to be a solid option, but several noted that the flavors could have been "more amped up." Like your bacon translucent and shatteringly crisp? Super salty and greasy, in true diner fashion? Look no further than Plumrose. This isn't bacon for the faint of heart, but it's also more balanced than the thinner cut brands that we tried, with generous marbling that helps cut through the saltiness. Tasters found Farmland similarly salty to Plumrose—perhaps even more so. If you're the kind of person who likes your bacon to pack a sodium punch, this is the option for you.